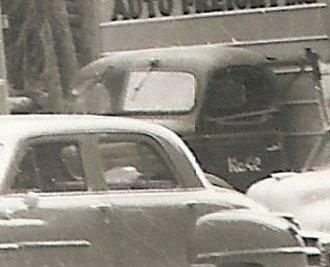 Can you identify the cars in this photo? We've been asked to help date this photo. 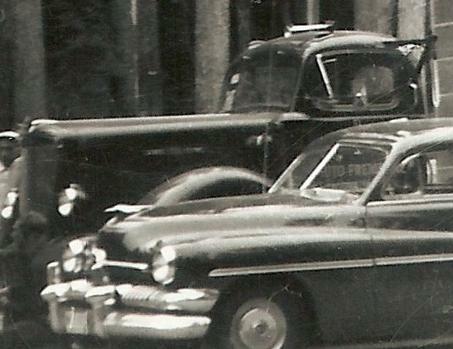 Can you identify the cars and trucks? 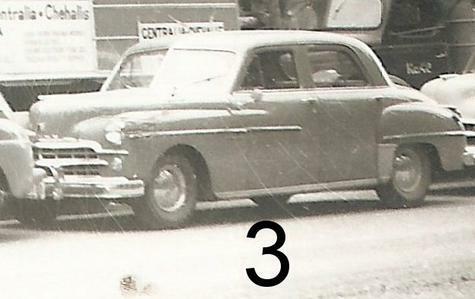 More "Help identify this vehicle"
#1 is a 51 Lincoln, #2 is a 46 Ford, #3 is a 49 Dodge. 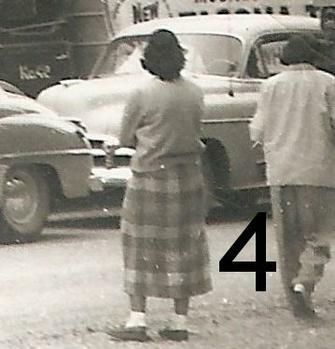 #4 is a 49 or 50 Chev, I cant see enough of the grill or door handles. The grill on the 49 has vertical bars on the lower half and the 50 has a floating horizontal center bar only, the parking lights are the same. These features are hidden in this photo. 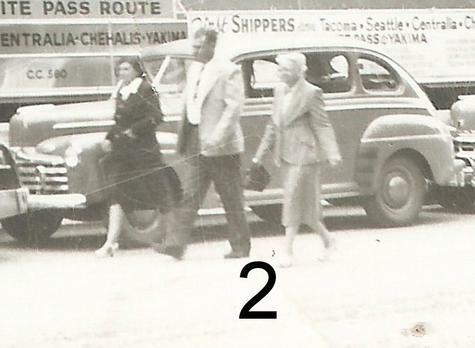 Thanks to all who have helped date this photo. 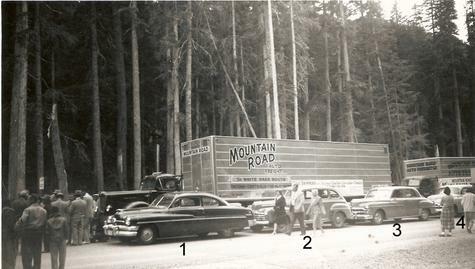 My grandfather drove the semi in the photo. I'm trying to pinpoint when it happened, so you've given me a great start! I believe Lugnut knows what he is talking about!